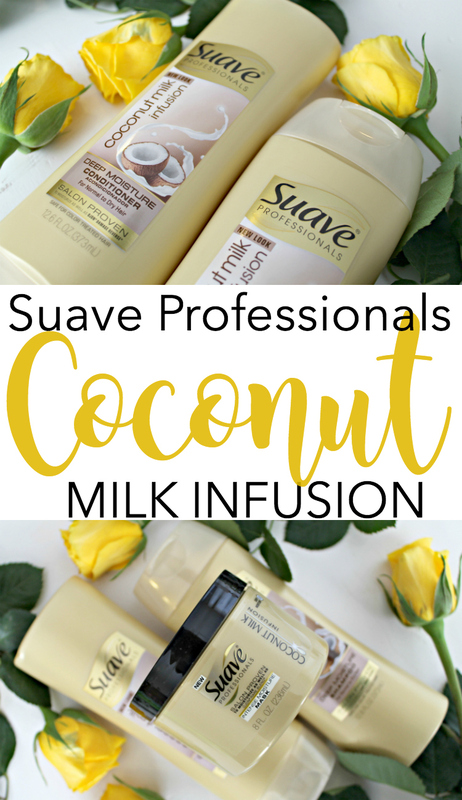 Coconut Milk Infused Suave shampoo - Strengthen Hair Affordably! Hope you’re having a lovely day so far! 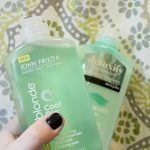 I am SO excited about today’s post because I’m sharing my recent favorite hair care items! I love indulging in luxury shampoo, conditioner, and treatments. But the cost is just way more than I’d like to spend. That is, until I discovered that Suave’s collections are salon proven to “work as well as” luxury brands! I recently picked up the Coconut Milk Infusion Deep Moisture Shampoo, Coconut Milk Infusion Deep Moisture Conditioner, and Coconut Milk Infusion Intense Moisture Mask from Walmart and my-oh-my am I in love. Actually, it was love at first smell because this Coconut Milk Infusion collection smells INCREDIBLE! I have always loved that toasty coconut scent, and these products help my hair look, feel, and smell incredible. It gives me that extra boost of confidence and makes me feel great about the way my hair looks everyday, and you really can’t beat that feeling. These yummy Coconut Milk Infusion products are infused with coconut milk, which keeps your hair deeply moisturized and oh-so soft. It’s salon proven to repair damage, and I can tell you my hair has never felt softer! The shampoo cleanses gently and moisturizes, prepping for the conditioner that tops everything off with even more moisture keeping your hair looking healthy and soft. 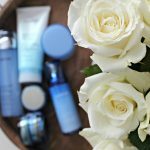 The Intense Moisture Mask is my FAVORITE. My hair is really long, and reaches mid-back. It’s so important for me to take the time to use this treatment because it just revitalizes my locks. After just one use, it’s so much softer and more moisturized. The mask penetrates hair and delivers ten times more moisture vs. non-conditioning shampoo. I’m trying to take extra great care of my hair because in a few months, I plan on donating it! So it’s important it stays moisturized and healthy. 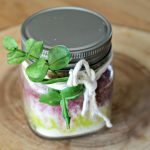 I can’t wait for you to try this line, I really think you’re going to love it! Next time you’re shopping at Walmart be sure to swing by the hair care aisle and pick up this collection, you won’t regret it! So, have I convinced you yet? 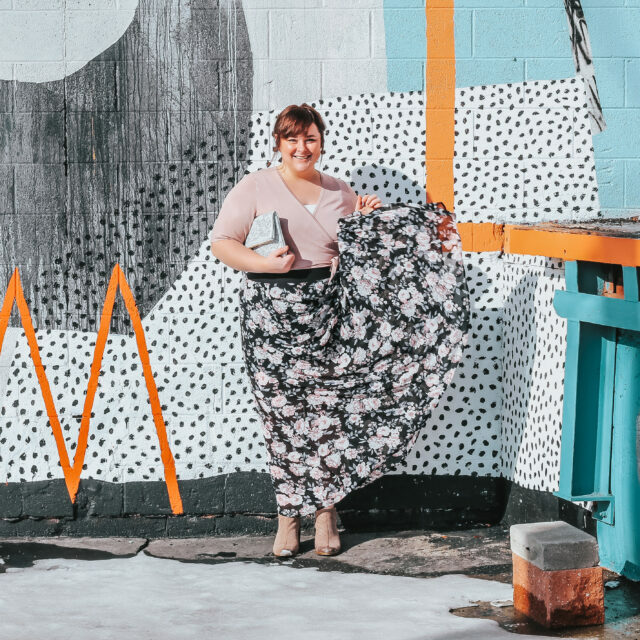 Seriously, you’re going to LOVE this collection! I’ve always used high-end shampoos and conditioners and I get so tired of spending all that money on hair products. I love the smell of toasted coconut and the next time I’m in Walmart, I’m going to grab some Suave shampoo and conditioner. We use Suave a lot , they have some great products at a good price. 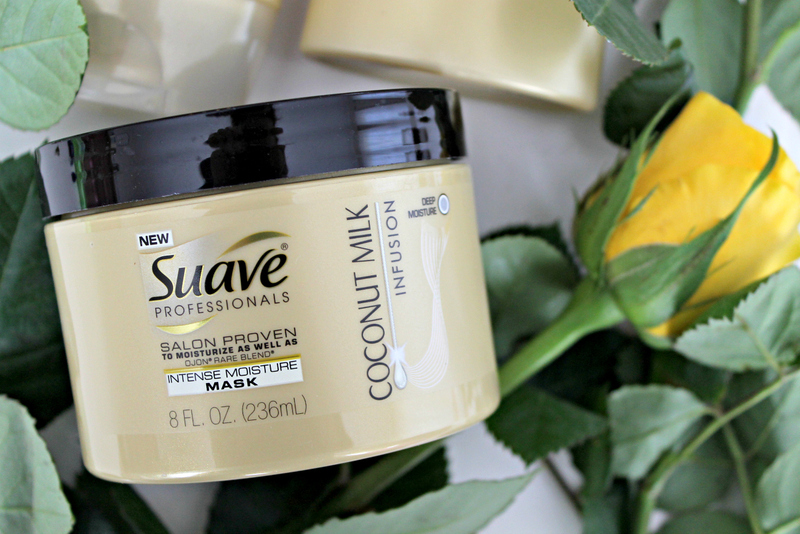 Whenever we try the products we always seem to go back to suave because it works really well for the price. Like Alli, I normally use higher end shampoo/conditioners. That money spent could definitely go to something else. I’ll have to try this line. Thanks for sharing! This sounds like great stuff! I’ve been looking for a coconut product for my hair and skin. I’ve heard great things about it. OH wow it seems like Suave has some good options to strengthen hair, I will have to give this a try for sure! I honestly had no idea Suave had such great selections. I bet that smells amazing. We live in Florida, so coconut anything would fit in here. I’ll have to mention this to my wife, seeing as I have little to no hair. I love the Suave professionals line. I use these shampoos and conditioners and buy them for my girls too. 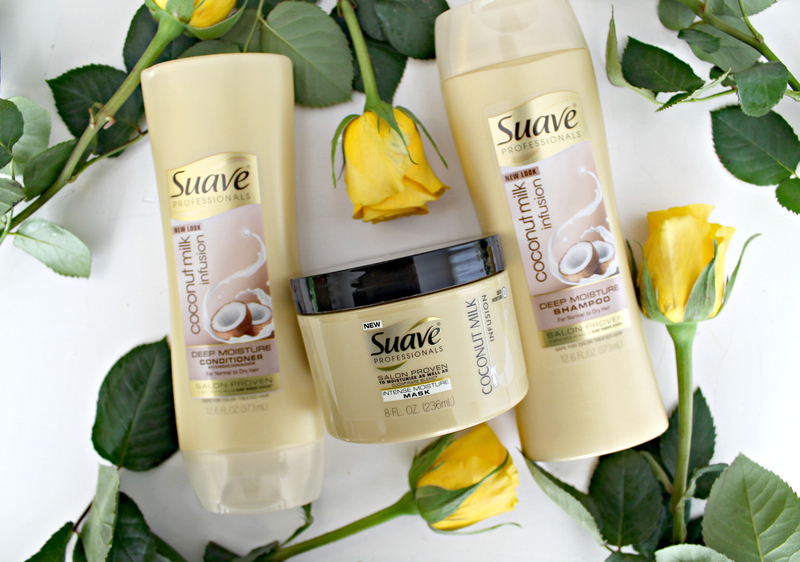 Suave is my favorite brand for hair products. I haven’t tried these yet. I guess I need to keep an eye out for them when I shop. I love Suave products!!! These sound like amazing products to use on your hair on a daily basis!!! 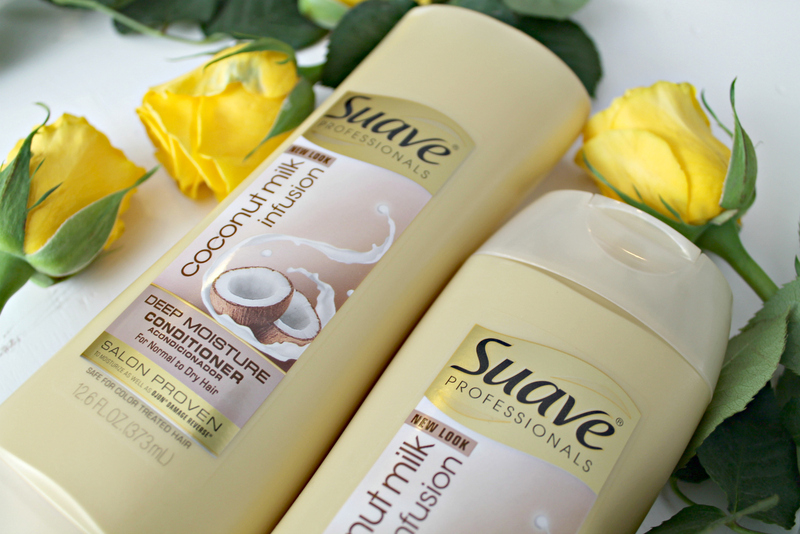 I am a big fan of Suave products and I am very excited that they have introduced Coconut into the mix. I also like that Suave is cost effective so it won’t cost to much to get and maintain. These products sound like they could help a lot! My hair becomes pretty unruly sometimes and it’s annoying. I really like Suave products. They work great and they don’t cost too much, either. I have heard lots about coconut oil for hair but not much about coconut milk. 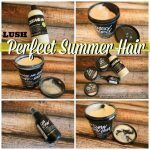 these products look so great for hair! suave is always so cost effective and usually works really good too! Sounds like some great products worth trying out. I have such issues with my hair. No matter what i do it always seems to be a hot mess. Need to fix that! I am often hesitant to try new hair products. So many of them leave a residue or just make my hair look weird. Suave is not like that. Thanks for sharing this new line that I hadn’t heard about! 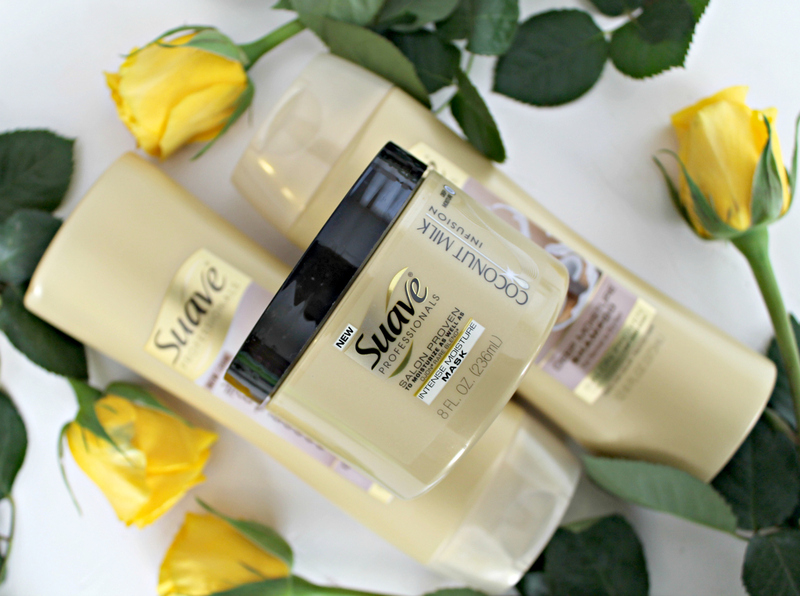 I love Suave shampoos and conditioners! I bet these smell amazing, I love anything coconut scented!! I’ve used a few Suave shampoos and conditioners, I can’t say that I’ve loved them. I haven’t found the perfect fit for my hair just yet. I love the suave professional line. I have been using it for years. I need to check out the coconut milk infused shampoo. It sounds so luxurious.